Lifesaving activities in Hong Kong can be traced to those days before World War II. British military and police officers were teaching the lifesaving techniques to servicemen in Hong Kong. Subsequently members of the public began to take up lifesaving training. All through the years from 1950 the Hong Kong Branch of the Royal Life Saving Society has been in charge of examinations, syllabi and training, while the main duty of the Hong Kong Life Guard Club looks after the provision of service to the public. The Hong Kong Life Guard Club was established in 1956. Its main charter in the early years was to conduct life saving examinations for different lifesaving clubs in Hong Kong as well as to co-ordinate services to members of the public. With the approach of July 1997 when the territory of Hong Kong will change its sovereignty. 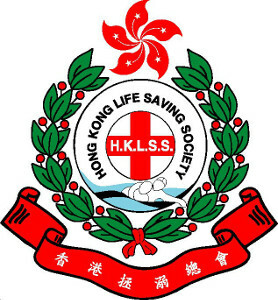 The Hong Kong Life Guard Club took over the responsibilities of the RLSS Hong Kong Branch and became Full Member of the International Life Saving Federation as per 1 January 1996. As from December 1997, the Hong Kong Life Guard Club has been renamed to The Hong Kong Life Saving Society.